Ensemble Bio: Innovative Saxophone and Bass Trombone ensemble, the “Wozniak Duo,” is comprised of husband and wife team, Lois Hicks-Wozniak, saxophone, and Matthew Wozniak, bass trombone. Formed in 2007 and borne out of a desire to seek opportunities for their unique instruments, they have performed music from Bach to Daniel Schnyder and commissioned works by composers to include Kevin Ames, Rob Deemer and Gregory Wanamaker. 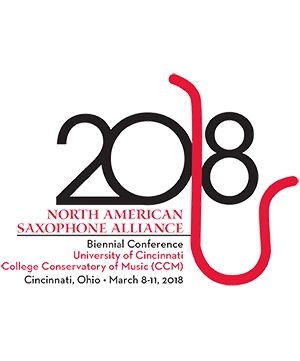 Carter Pann's Duo for Alto Saxophone and Bass Trombone (2011), written expressly for them, was premiered at the Eastern Trombone Workshop in Washington, D.C., and at the Region 8 North American Saxophone Alliance Conference. Most recently, they were featured guest artists at the 2014 International Trombone Festival and recently performed Rob Deemer's work, Senor Bombast and the Chili Swinks Kazoo at the 2016 NASA biennial and the 2017 Navy Band Symposium. They continue to champion new music for this original pairing. Their CD, Playback, with Nadine Shank, piano, was released in November 2015. Matthew Wozniak Bass Trombone Matthew Wozniak has served as a bass trombonist with the United States Military Academy (West . . .
Kathryn Goodson Piano Pianist Kathryn Goodson, an international performer, teacher and coach, has performed collaborativ . . .